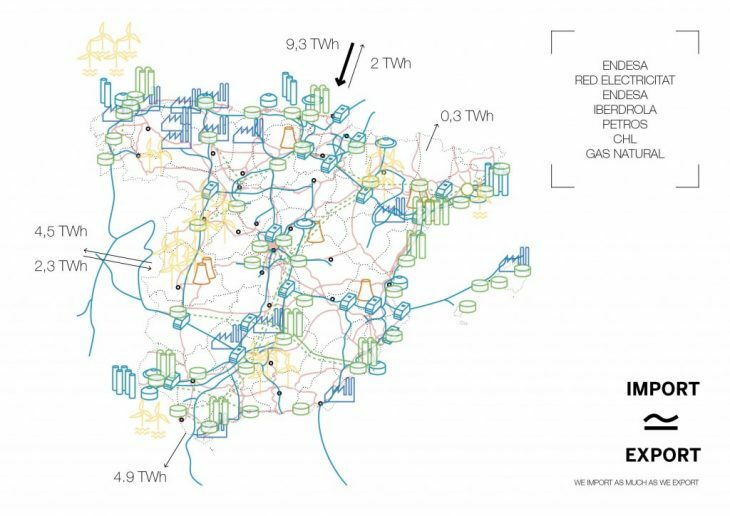 This blogpost shows the second step of an analysis on Energy’s dependency and consumption for the FabCity Design Strategies Studio. please go to: ENERGY AS A RIGHT / WHO OWNS THE NEED? Looking at how our society is built we should not be surprised by the importance of energy in our daily uses. Indeed what we tend to forget is that from heating to transportation, energy drives our relations with cities in such an unconscious way that we are barely aware of the complex networks and the amount of intrinsic interests that are lying underneath. Among with that, Energy can be used as a wide term, referring from fossil fuels to renewable energies and blurring even more the discussion on the ecological aspect of the production. Just in Spain more than seven companies are managing the supply chain for the energy distribution throughout the nation, constantly questioning the idea of public sovereignty and monopoly over the need. This being set, it is also fundamental to notice that we are actually living in a period of mutation for our society at different levels. Considering Energy, we can emphasize that the general trend is shifting towards more decentralized approaches. The concerns about resiliency and citizens sovereignty are actually trying to detach as more as possible from the existing supply chains in order to scale to “local” the complexity of the system, but this not the only feature. In terms of production, it could be pictured by the possibility, that we have now, to access to a wide range of self-production Energy systems while the social behavior tendency is attracted by sharing economy systems within which the digitalization of the economy could take a determinant position. But are we ready for such a shift? Are our cities prepared to experience such a disruptive conversion? 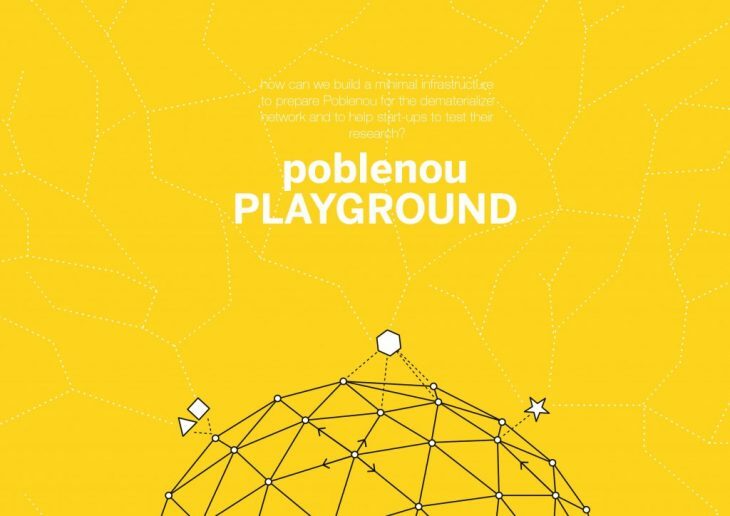 We proposed a sub-layer infrastructure formed by a complementary mesh at the scale of the Poblenou district which can be used as an open playground to freely plug and test innovative devices in the Energy field. 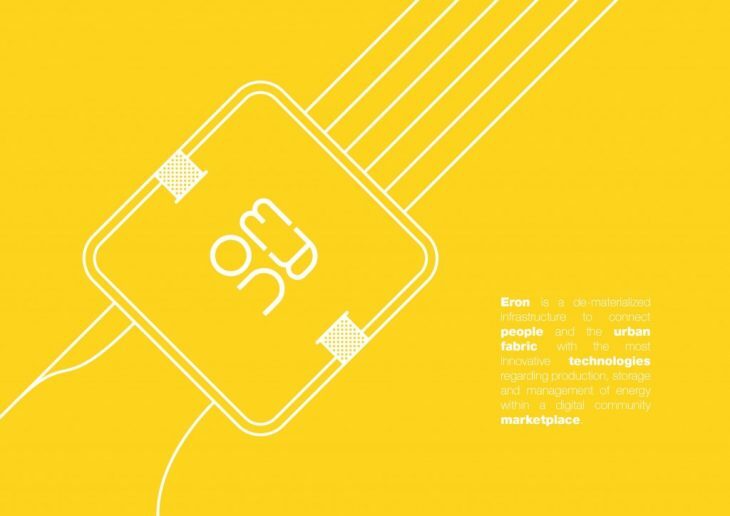 A test-bed for creative ideas with a softer regulation supporting new solutions regarding the Energy issues. 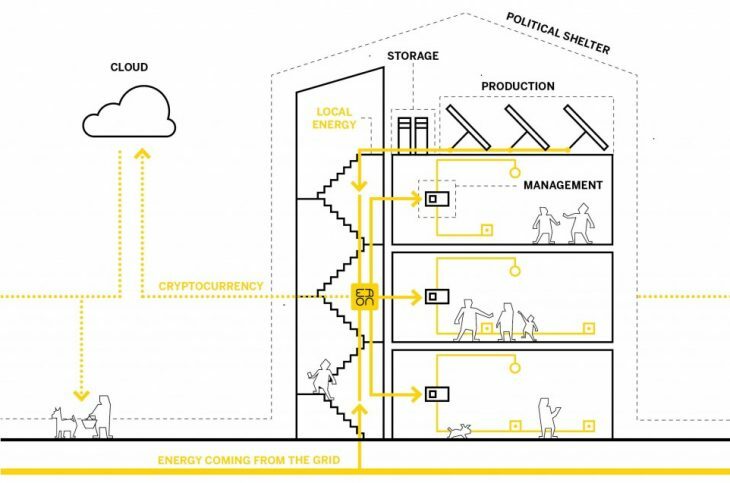 We can define it as a political shelter or specific institutional framework aimed to promote the implementation of innovative technologies in terms of production as well as storage and management system of Energy which are more and more significant in the actual debates related to the future of Energy. 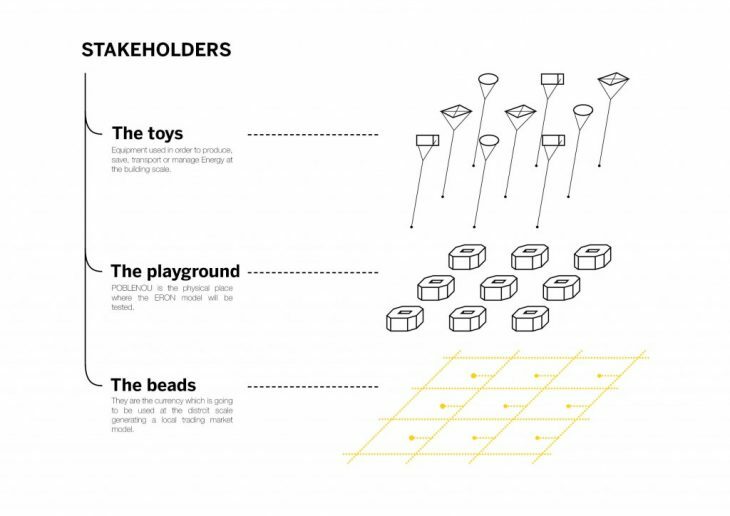 The system to work involves three main layers: the physicality of the urban fabric ( the PLAYGROUND) and the innovative potential of start ups technologies ( the TOYS) bonded together by a de-materialized economic infrastructure of local cryptocurrency or BEADS. 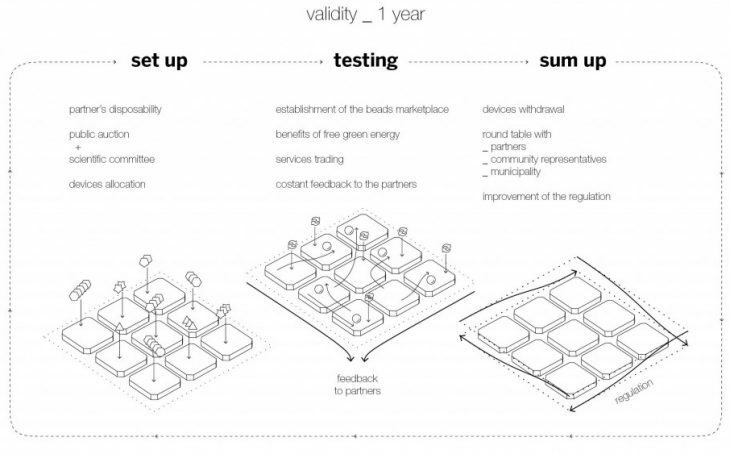 The model is divided in three phases of a total duration of one year in order to get substantial feedbacks from the on-site testing of devices in the field of storage / production / management of energy. In addition to this, the process aims to foster citizens curiosity on the topic of renewable energies and shape regulation accordingly. 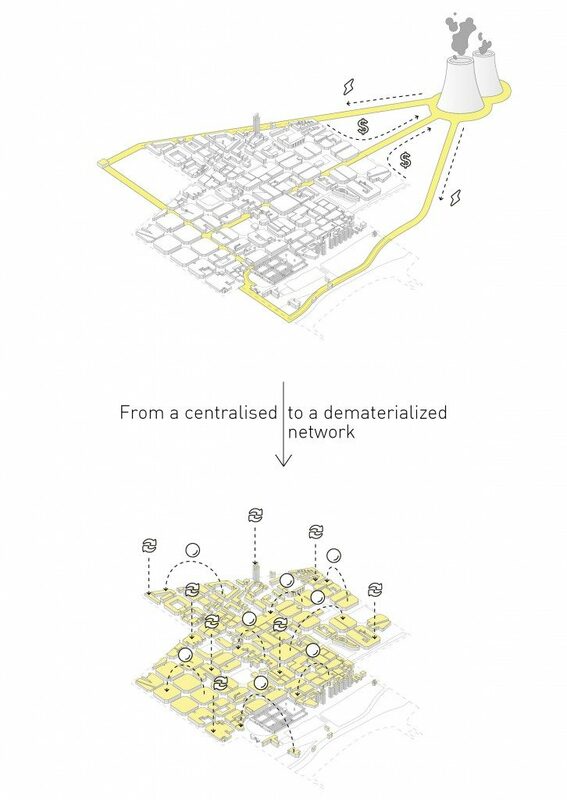 In the present constrained urban fabric of Poblenou, each block could represent a node of the entire mesh. Moreover, we noticed that a block is mainly constituted by two kind of functions: activity and housing. Regarding to the surface occupancy the ratio is clearly in favor of housing areas. though, in terms of Energy consumption, activities are a lot more demanding. 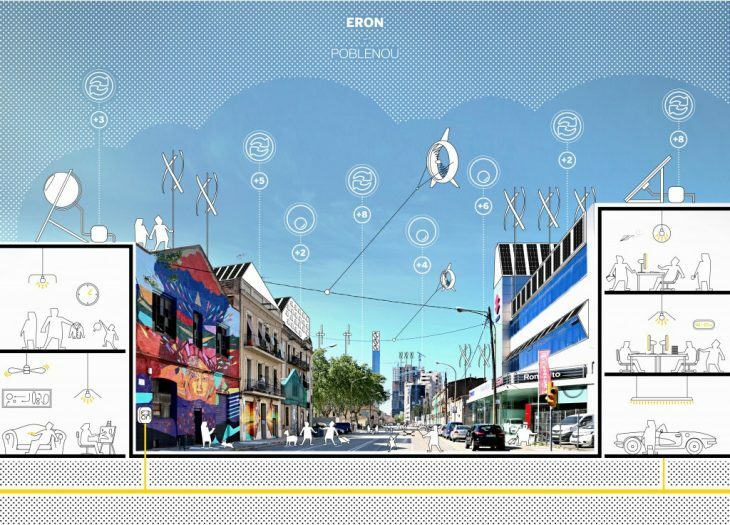 In that sense, we design a prototype in charge of the self management of the Energy flows within each building and the grid, according to the needing of every living cells. 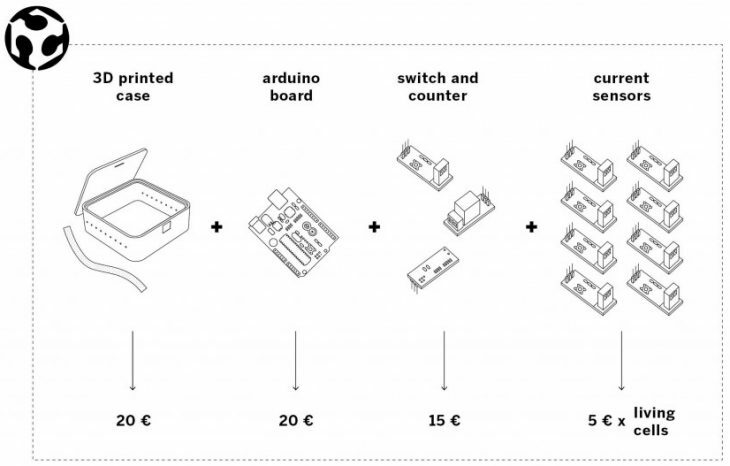 This DIY unit represents the crucial link between the current network and the innovative test-bed by tracking the consumption and creating cryptocurrency (beads) in response. Empowered by the tested productive devices, dwellers create solar currency and balance their personal energy consumption in corresponding to their neighbors. Indeed, if the consumption is higher in activites than in dwellings, activites can buy free Energy to the dwellers by giving some beads in exchange. Those credits could allow them to trade various services with the activities of the ground floor, enhancing local interaction and cooperative aid.